When we feel that life is out of control, He is in control. When tragedy strikes, people desperately search for answers. Believers and unbelievers alike find themselves turning to God. Best-selling author and pastor Max Lucado points to the only real answer to tragedy and crisis: Prayer. 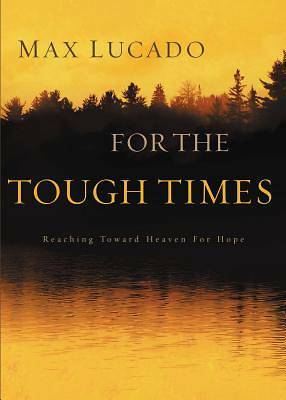 InFor the Tough Times, Lucado helps us understand how to pray despite our doubt and fear.